The Cherry Basket is a new addition to Petit Chat's Cherry series of accessories and you can tell it is already very lucky in red and nicely meshed with detail texture. This is also available at the Chapter Four event only until end of June! 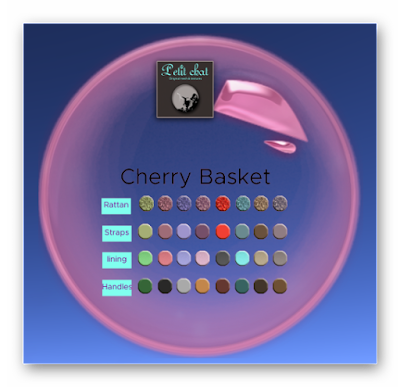 The basket comes with a HUD which allow you to easily change the 4 components of the basket to different texture and colors. There are 8 colors to choose from for each components. You will notice that the baskets are separated for both the left and right hand which effectively gives you option to customized them to different colors like what Kitty did here! 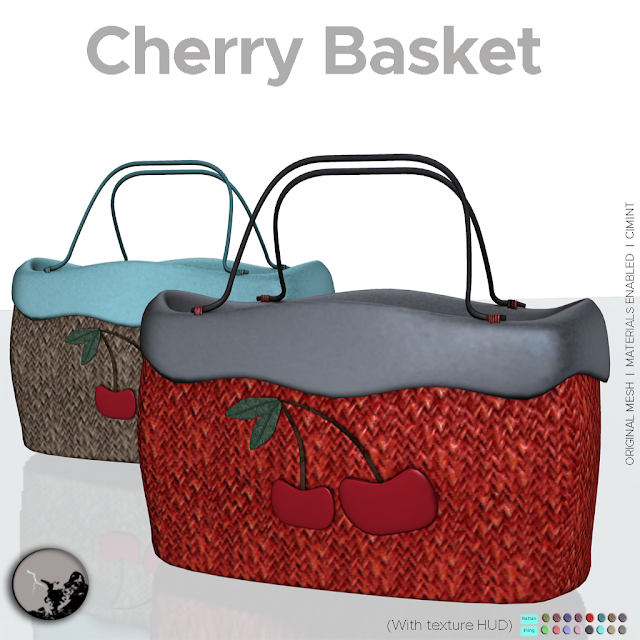 In addition to left and right, there are also 2 positions you can hold this cute little basket. One of the hand and the other on the waist... Yes, if you are thinking that there are altogether 4 baskets in the package, then you are RIGHT! 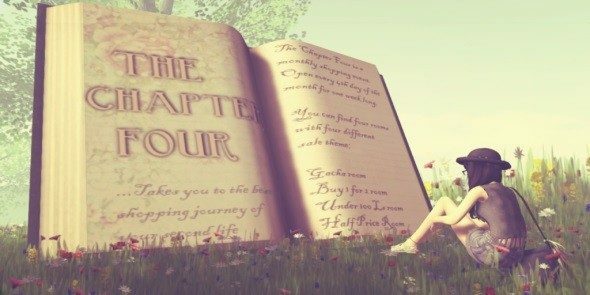 The Cherry Basket will only be at the Chapter Four event which run from now until end of the month! So hurry before they are gone!